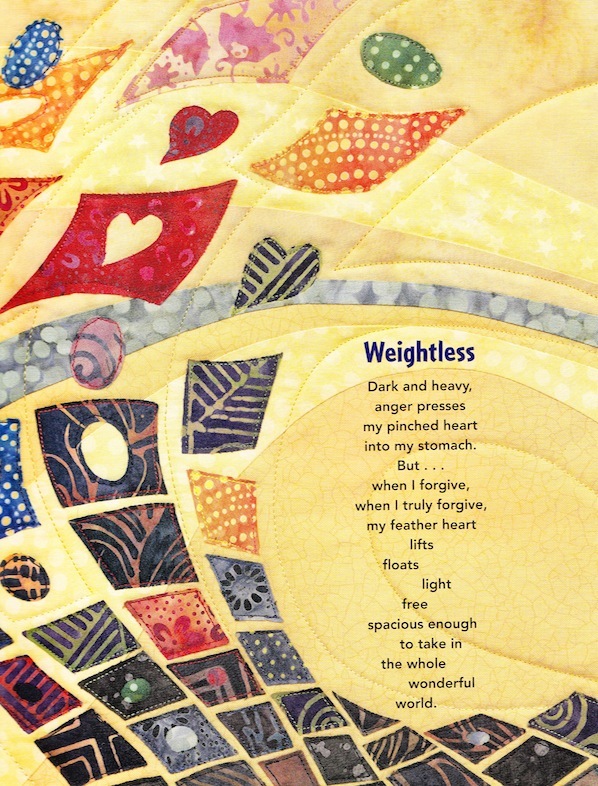 From a sweet children’s book called Peaceful Pieces: Poems and Quilts About Peace , by Anna Grossnickle Hines. It seems appropriate for the Days of Awe, no? Both this book and the brilliant (as I’ve written before — honestly, can’t say enough about this book) This is Just to Say: Poems of Apology and Forgiveness by (Newbery Honor-winning, whoo!) Joyce Sidman would be wonderful not-necessarily-Jewish-but-High-Holiday-appropriate books to read around Rosh Hashana or Yom Kippur with your kids. Actually, I think all ADULTS should read This Is Just To Say. It is genius on so many levels. Maybe if you and your kids are visual/tactile learners with a fondness for the textile arts, go for the Hines book, and if you and your kids are word people go for the Sidman. G’mar chatimah tova.